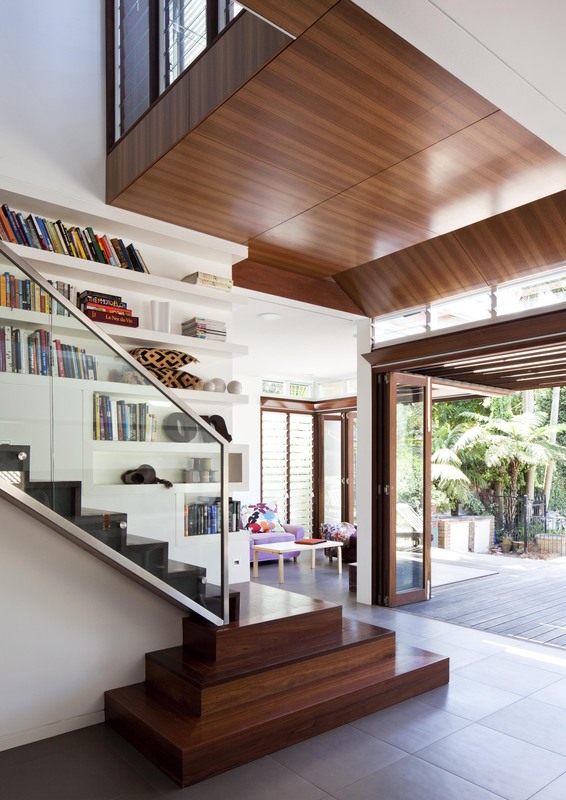 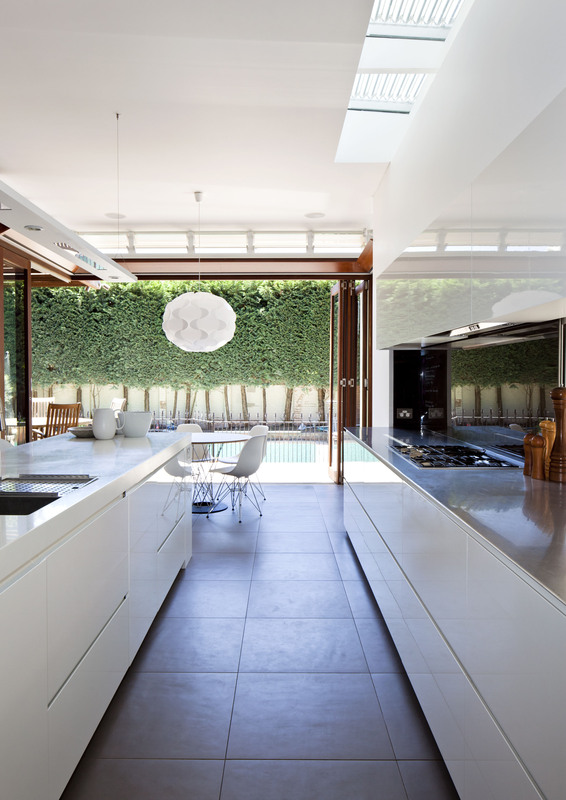 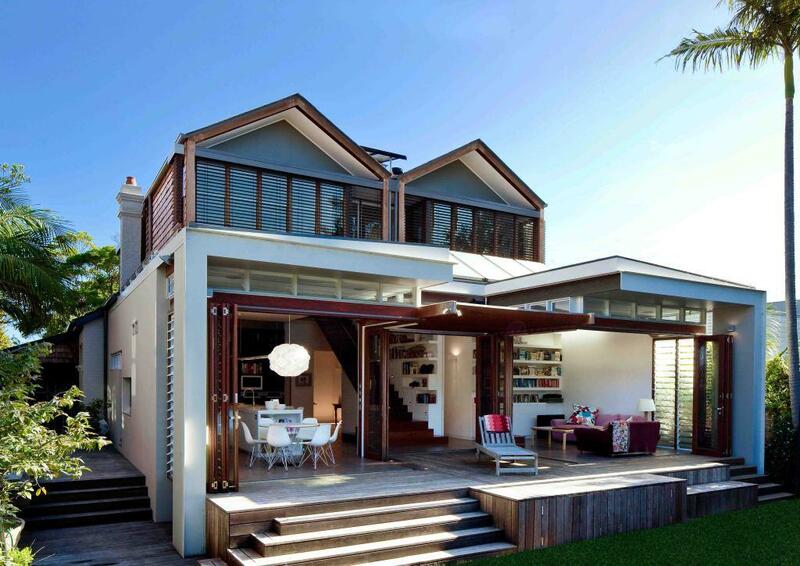 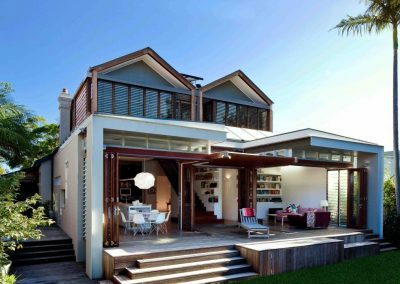 Anderson Architecture has done a wonderful job designing the new extension for this residence in Mosman, New South Wales. 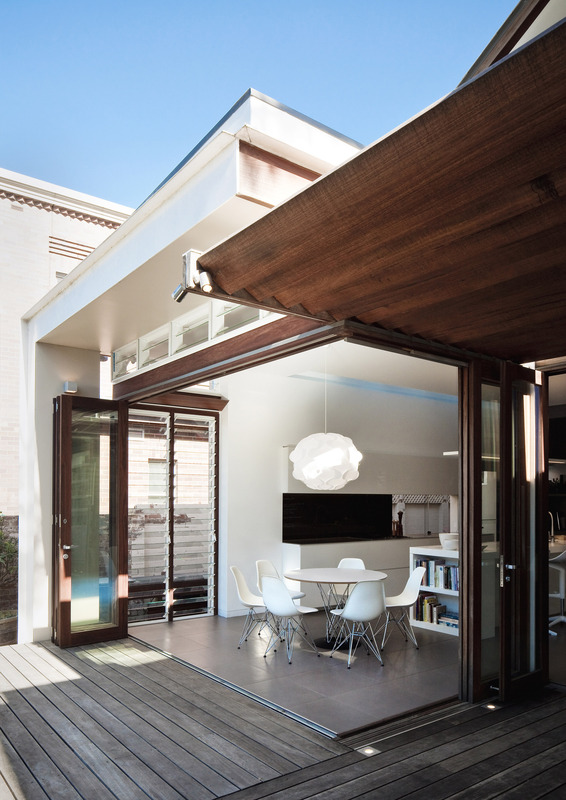 The project involved opening up the existing rear half of the house to better engage with the backyard and to capitalise on passive solar techniques to reduce heating and cooling costs. 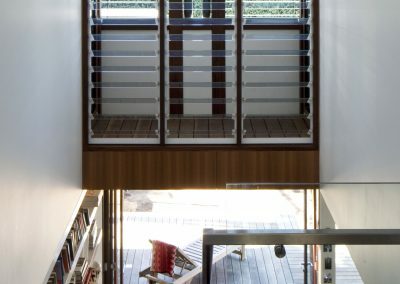 To help achieve this, Altair Louvre Windows were incorporated into the home to allow warming natural sunlight to flow into the house and onto the thermally massive green-concrete slab to store heat during winter. 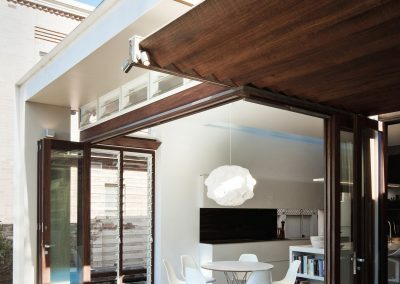 In summer the Altair Louvres can be opened up wide to allow fresh, cooling breezes to flow in to keep the home at a comfortable temperature, thereby reducing the need for artificial power-hungry air conditioning. 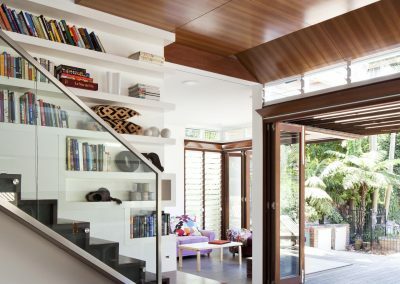 Sustainable, recycled and locally sourced timber and hardwoods are featured throughout the house to bring warmth and style to the overall design. 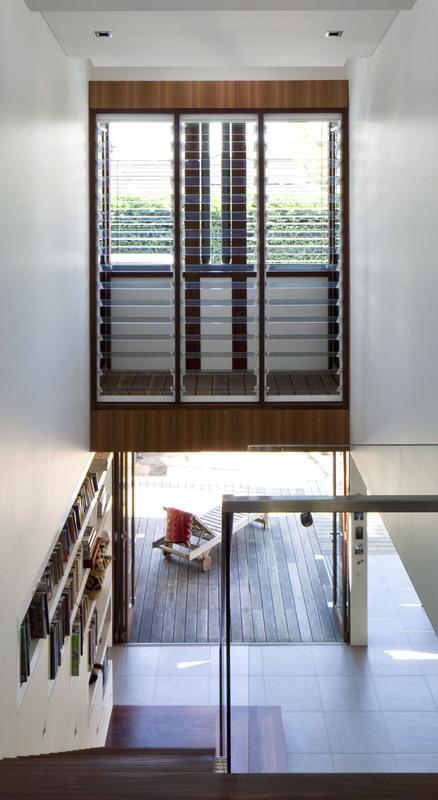 The extensive use of LED and low-watt light fittings, solar panels and rainwater storage also help make the house more self-sufficient towards electricity and water consumption.